Looking for a way to keep your “little hands” busy before Simchat Torah or Shabbat? Ask your kids to make these “Torah Scrolls.” The “covers” can be decorated with sparkles or stickers. 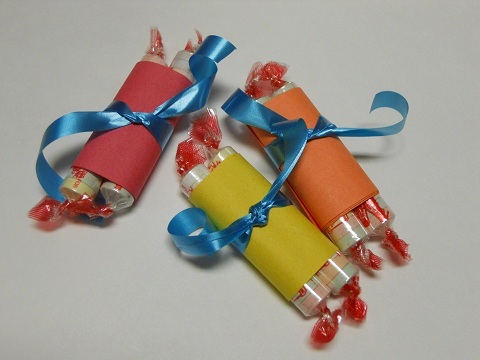 Better yet, your kids can turn these Torah treats into place-card holders – ask them to write each guest’s name on the outside, and maybe a sweet message on the inside. 1. Cut paper into strips 4 ½ inches long and 2 inches wide. 2. Roll 2 packs of Fizzers into the paper.